Why do we love cupcakes? We’re all adults here at Fooding Blog – for the most part, anyway. Shouldn’t we be eating grown up desserts like crème brulee or some kind of dowse-with-brandy-and-set-on-fire thing? Don’t get me wrong: I love a good crème brulee, but it requires a torch and a utensil. Cupcakes, however, remind us that it’s ok to feel like we did as kids, when dessert was fun and gooey and colorful. They remind us it’s ok to eat with our hands and get a little frosting on our chins and maybe on our shirts too. Cupcakes remind us that desserts don’t always require an open flame. 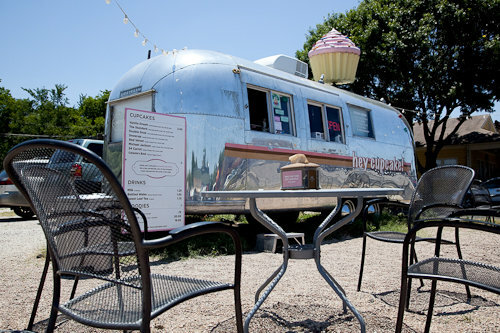 This weekend, we decided to embrace our inner child and search for the best cupcake in Austin. 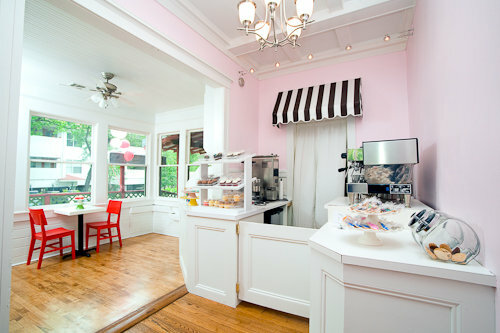 After a quick lunch on South Congress, each blogger set out to his or her assigned bakery specializing solely in cupcakes. * The mission: purchase one chocolate and one vanilla cupcake and return to our specified rendezvous point. Since the blazing heat has yet to really settle in for the summer, we opted for a cupcake picnic under a tree on the Capitol grounds. There among the families on field trips, a quincienera on a photo shoot, and the occasional squirrel, we divided each cupcake and rated the pre-determined factors on a scale of 1-5 (1=bad, 5=excellent). See our rating grid below, which shows the average score of each cupcake from the following bakeries: Hey Cupcake!, Sugar Mama’s Bakeshop, Polkadots, and Delish. And the winner is: Sugar Mama’s Bakeshop!! #1 Sugar Mama’s Bakeshop – The vanilla and chocolate cakes were dense and sweet with a nice flavor, and the frosting is sweet, but not too sweet. Smallest size cupcake. #2 Polkadots Cupcake Factory – The vanilla cake was not very flavorful, but the chocolate cake was moist and had a nice flavor. The jury is out on the light, whipped cream-like frosting: a couple of bloggers liked it, while others did not. This was one of the larger size cupcakes. #3 Delish – The vanilla cake was moist and flavorful, while the chocolate cake was slightly dry and crumbly. The frosting was entirely too sweet, but I gave the glittery chocolate frosting an extra point for being fabulous. This was one of the smaller size cupcakes. #4 Hey Cupcake! – The big surprise was that these cupcakes, from arguably the most popular shop in Austin, came in last place. The vanilla cake was dry, but the chocolate cake was moist and flavorful. The frosting on both cupcakes tasted like it came out of one of those little tubs you can buy at the supermarket. This was the largest of all of the cupcakes. We enthusiastically encourage our readers to conduct their own comparisons. The sugar high is excellent – the crash is not so excellent – and we would love to hear your opinion. * We were not solicited in any way by the bakeries, and we purchased all of the cupcakes. i’m a hey cupcake! man myself, but i can’t say that i’ve ever had a plain chocolate or vanilla cupcake from there. the double chocolate with chocolate chips inside is an awesome cupcake, and the carrot cupcake is an excellent miniaturization of my favorite cake. Well done! I agree w/Sugar Mama’s being the champion!! Who doesn’t love feeling like a kid again? One of my favorite ways to eat a cupcake (after all these years) is to lick the frosting off in a swirl, round and round, and then eat the cake. YUMM! Woo Hoo! I’m looking forwards to trying Sugarmama’s soon. My fave is still the Strawberry Shortcake at Polkadots which wasn’t reviewed. I’m not surprised about Hey Cupcake though. Mmmm now I need me some cupcakes! Thank you! We haven’t run across a good spelt cupcake recipe or bakery yet. You missed a great one on the north side of town: Cupprimo, in the shopping center at the corner of Spicewood Springs and 183. Hey Margery – I just found out that Sugar Mama’s has vegan & gluten free cupcakes. I hopped on over here from Peter’s photography site. I have to link ya’ll/follow ya’ll!! I want to try Polkadots. I’m not a very big fan of Hey Cupcake but I love! Be My Cupcake in Lakeline mall. Congrats to Sugar Mama’s! They’re my fave as well. 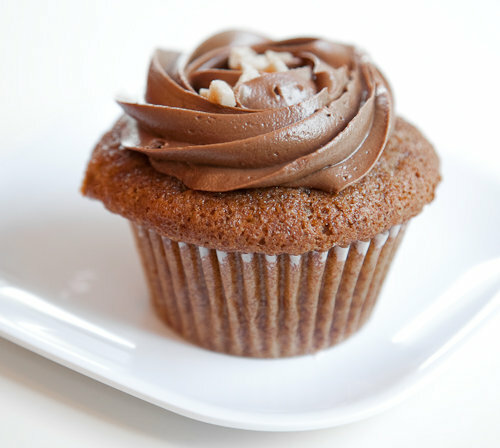 I am not a cupcake devotee per se, but their Peanut Butter Cup and Frida Cupcakes are to die for. Note about gluten-free deserts: Starbucks (yeah, I know) has GF Valencia Orange Tea Cakes that are quite yummy.